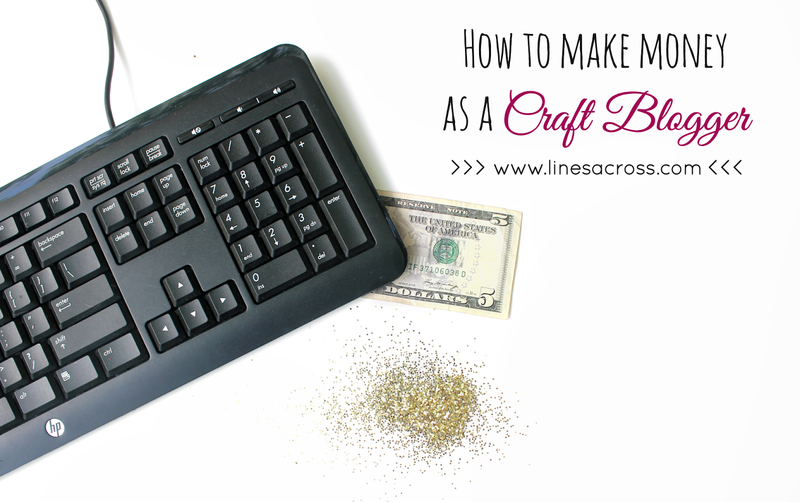 Over the next month, I’ll be posting in a series about how to make money as a a craft blogger. I’ll tell you a little bit more about my blogging story and philosophy, plus you’ll get a chance to hear a little bit of advice from other experienced craft bloggers. Today I’m going to start off by describing 5 different ways that you can and I personally have made money as a craft blogger. This is the simplest and easiest way to start making money through your blog. You can sign up for ad networks like Google Adsense, choose your ad sizes, and start making money right away. At first, you will probably only make a few pennies a day, but over time, as your blog grows, this amount can grow to some real cash. I am also a part of the BlogHer ad network, which requires a longer application process. All of the BlogHer ads must be above the fold, but they can have a higher payout. Plus, it’s a great community that helps promote you and connect you with other bloggers. You can sell advertising space on your sidebar. This is another simple way to start getting paid for the page views and visitors you are already getting. I have never promoted sidebar ads especially, and have tried to keep my price for these much lower, because I don’t think they always are a good return on investment for bloggers, but are better for companies or shops. If you want to sell sidebar ad space, make sure that you have an advertising or PR page on your blog with some information. I haven’t had too much success with affiliate programs, but then again, I haven’t been very involved with them either. There is a lot of potential to make money through these kinds of programs, and are a great option if you are sharing something you already like and use. For example, I am an Amazon affiliate, and I often link to products I use in my tutorials on Amazon. I would probably be linking to these products anyways, and it’s nice to get an Amazon gift card every so often as a bonus. Whether you open an Etsy shop, or sell things directly from your blog, blogging does give you an advantage and a platform from which to sell. Some people have had a LOT of success selling things they’ve made in their Etsy shops. You can make 10 of something instead of just 1 when creating a tutorial, and then sell the extras. It’s a great way to kill two birds with one stone. 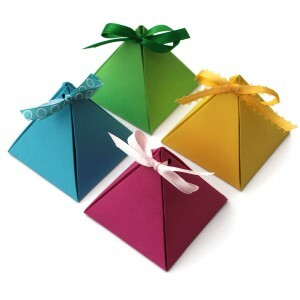 I’ve had a little success selling digital printables and templates directly from my blog, like these lego gift boxes. What I LOVE about this is that I am able to sell something I’ve already created at a very low price, and each sale requires no extra time, effort, materials, or trip to the post office from me. The entire process from payment to download is done directly through the ShopLocket widget (which is so easy to use – check out my tutorial here). It took me over a year of blogging before I really started writing sponsored posts: posts where I was paid in addition to receiving free products to review or promote. I was always a little hesitant to get involved with these kinds of posts because I didn’t want to come across as too much of an ad, or have people view me as insincere, or start to loose readers. Plus, I never really knew where to find these opportunities, and I was afraid to sign up for a community that would have a lot of requirements or get stuck writing reviews for products that didn’t interest me. However, I saw a lot of other bloggers writing interesting and tasteful sponsored posts and really wanted to start doing some myself. Sometimes a company will contact you directly with an offer, but especially if you are new to the game, this is rare. The best way to start writing sponsored posts is to join a group or a community. Here are the groups I’ve joined, and a brief summary of how they work. Social Spark – This is a great place to start. You can fill out an application online, and it’s really easy. You do have to sync your blog and Google Analytics account so that they can know your page views and stats when showing you to the advertisers. When you’re applying, you can give a minimum amount of money you would consider for writing a sponsored post. Then once you’ve been accepted, you can sign into your dashboard and view leads from advertisers. If you’re interested, you can choose to accept a lead or negotiate (ask for more money). Then you will be notified if you are selected for a campaign. There are NO requirements. Just because you join, you don’t have to accept any leads if they aren’t interesting to you or relevant to your blog. In fact, I am doing my very first post with Social Spark next week, and I’m very excited about it. Clever Girls – This is another great option for someone newer to blogging and sponsored posts. It works very similar to Social Spark. You apply, then if you are accepted, you can sign into your dashboard to view leads. If you are interested, you can apply for these leads, and you will be notified if you are accepted. I’ve actually done quite a few posts with Clever Girls and I’ve been very pleased with them. They also have no requirements or minimums, and are very friendly and easy to work with. 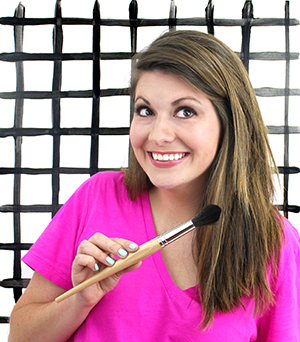 Blueprint Social – Blueprint Social is a smaller group geared primarily towards craft bloggers. It works a little differently, and I except that it is a little bit more difficult to be accepted. If you are accepted, you will be sent newsletters and campaign offers from time to time, and you can apply for ones that interest you through links in the emails. Each blogger is paid a different amount according to your blog’s stats and your own experience. 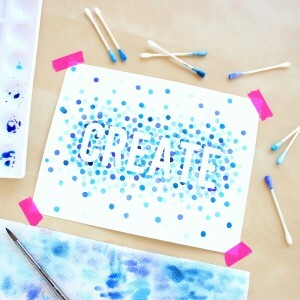 I really love Blueprint Social, and have greatly enjoyed the crafty campaigns. It is also a wonderful and supportive little community that I would highly recommend to other craft bloggers. Pollinate Media – Pollinate Media is a smaller group and works similar to Blueprint Social. They are great for crafty and home decor bloggers, but seem to have a much smaller number of opportunities (although the ones they do have are amazing!). It is also a great and supportive little community that I would highly recommend. Social Fabric – Social Fabric is a much larger network and community. It offers so many opportunities even beyond sponsored posts that I have only begun to explore. The application process for this group is a little more complex, and the website and community is almost overwhelming. It has taken me a little while to become more comfortable with the website and how it works, and I’ve been happy with a lot of the shopportunities that I’ve found through Social Fabric. These opportunities are generally geared towards shopping and product reviews more than crafts, and often require a shopping story with pictures. You are able to join this group and participate in many ways and even be able to view the shopportunities without committing to actually doing any of them. I would definitely recommend Social Fabric to other bloggers, but personally, I’m glad I waited a little longer to join. It’s so easy for your blog to be taken over by too many sponsored posts, and it’s terrifying as a blogger to think that your readers will start to write you off as an ad. You need to be careful with your selection, sincere with your review, and tasteful with your presentation. So much new info to me. Thank you! Rachel, this post is like gold to those of us who have yet to make a dime on our blogs, but are curious about what next steps to take moving forward. Thanks to this information, I put in applications at Social Spark and Clever Girls yesterday to see if I might be able to find a sponsored post opportunity that aligns with my interests. We shall see…. I'm also strongly considering becoming an Amazon affiliate and joining an ad network, too. I'm really excited about this entire series, and I look forward to learning more from you in your future posts! Good idea to go for Amazon, too! Thanks, Rachel. Your last comment was so true. I don't have a blog, but I read them – less and less as time goes on though. Many of the blogs I started reading in 2009 now are ad heavy and content poor – they've turned into money making enterprises, which is fine, but it changes the product. Blogs are sort of like magazines. They become redundant after awhile – the same thing churning over and over – and I find that I need a break from them. Now when I read blogs I prefer to jump around to different ones. Great tips! Thanks for sharing. I've been considering the Amazon Affiliate program, because we are constantly linking to Amazon anyway. This is so helpful, especially all the links for sponsored posts. I'm checking them out now. Thank you! Thanks 🙂 You should. Even if you start small, it's a lot of fun. Then you can see where it takes you. 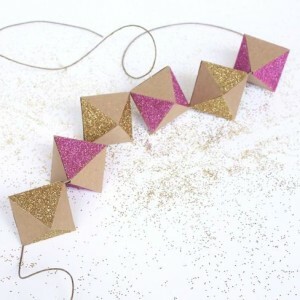 When I started this blog, I didn't even know craft blogs existed. It's fun getting to show and share your creations with other people who are interested. Thanks Rachel! I'm still thinking of what I want to do on my blog, so this post was very helpful! Have a nice WE! Thank you so much for this post! I am just getting started on my blog and have a lot to learn. I had always wondered how bloggers found sponsorship for some of their posts. Now I know. :) This is a great resource. Thanks again! This is incredibly helpful, Rachel! Thank you for all the good information and for sharing your experience with us. Just bookmarked your site. I love to craft and have been trying to sell my crafts online. Looking forward to your crafting series. Could you do a post on how you went about getting permission to use the Lego trademark on the boxes you sell? I am sure there are a lot of crafters who are not sure how to obtain IP licenses so it would be very useful. I do not use the Lego trademark on the boxes that are for sale. I do not refer to them as Lego boxes, but "mini building block gift boxes". I’ve heard great things about Blogher, but never used their network as a revenue source. Great post! I have been blogging for a year and I am just now starting to learn about sponsored posts. I want to connect with Blueprint Social and other networks geared toward crafts & DIY, but all the links to Blueprint Social go to a website for Amy Anderson. Blueprint Social isn’t mentioned anywhere. Hi! I believe that the Blueprint Social doesn’t exist anymore. I should definitely update this post and write a new one as well. I would check out Pollinate media, Collectively, Social Fabric, and Clever Girls to start out. Thank you so much for this information. I am a now disabled artist/crafter and enjoy blogging. I want to keep working and I know this information will really help me get properly started.